Today is the turn of Mads, madsrh on the community hub. My name is Mads Rosendahl (MadsRH) and I’m from Denmark. My dayjob has two sides, half the time I work as a teacher at a school of music and the other half I work in PR (no, not pull requests ;) ) where I do things like brochures, ads, website graphics, etc. I’m no saint - I use OSX, Windows and Linux. I got involved with Ubuntu back when everything was brown - around 7.10. When I read about Ubuntu, Linux and how Mark Shuttleworth fits into the story, a fire was lit inside me and I wanted to give something back to this brilliant project. In the beginning I set out to make peoples desktops brown and pretty by posting wallpaper suggestions to the artwork mailing list. Because I can’t write any code, I mostly piggyback on awesome people in the community, like when I worked on the very first slideshow in Ubiquity installer with Dylan McCall. I attended UDS in Dallas back in 2009 (an amazing experience!) and have had to take a long break from contributing. This theme work is my first contribution since then. I do mockups, design, find bugs and participate in the conversations. I also suggested new system sounds and have a cursor project in the works - let’s see if it’ll make it into the final release of the theme. There’s an awesome community within Ubuntu and there has been a ton of great feedback and conversations around the decisions. It comes as no surprise that with (almost) every change, there are people both for and against. Luckily we’re not afraid of experimenting. 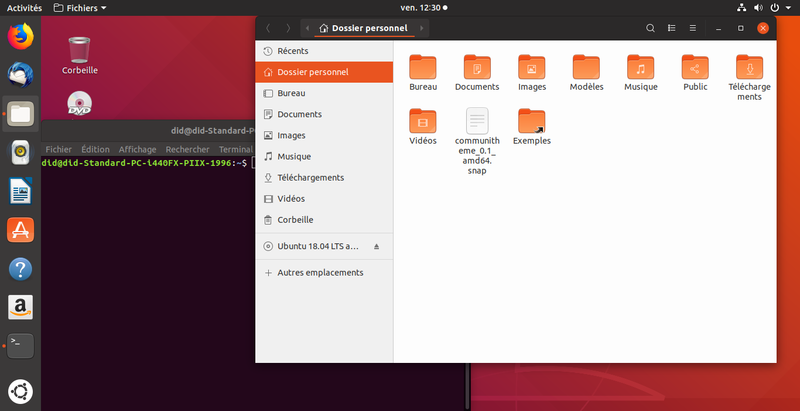 I’m sure that with the final release we’ll have found a good balance between UX (what works best), design (what looks best) and branding (what feels like Ubuntu). We have a small but awesome team put together back in november when the project was first announced, but we’ve also see a lot of other contributors file issues and step up with PR - fantastic! It’s easy to see that people are passioned about the Ubuntu desktop. What did you think (honestly) about the decision for not shipping it by default on 18.04, but curating it for a little while? It’s the right move. I rest comfortably knowing that Canonical values stability over beauty. Especially when you’ll be able to just install a snap to get the new theme. Rather dusty and stable, than shiny and broken.